Hear the word ‘sport’ and you are automatically reminded of cricket in Karnataka and all over India. It is surprising that our national sport is ‘hockey’ but the population of India has voted for ‘cricket.’ Agreed, when the cricket game is played between Pakistan and India, not only the cricketing fans but the entire Indian nation goes into a frenzy. However, in this article of 7 sports famous Kannadigas of Bengaluru and their achievements, we are going to talk not about Indian cricketing greats, but also achievers from other fields. Born In Bangalore on June 10, 1955, he is, in recent times, known as the father of the famous Bollywood and Hollywood actress, Deepika Padukone. However, Prakash Padukone has many badminton titles in his kitty. A former Badminton player from Karnataka, he is well-known for winning the All England Championship. The Indian Government awarded him the Padma Shri (1982) and Arjuna Award (1972). He, in association with Geet Sethi, has founded the Olympic Gold Quest for promoting sports in India. The book on his life “Touch Play” (Dev S Sukumar) is rare, as not many badminton players have had their autobiographies written. A very rare feat, he achieved, was when he became World No.1 in 1980. Other notable achievements include the 1978 (Commonwealth Games), 1979 (Evening of Champions) and 1980 (Danish Open, Swedish Open). He can be counted as one of the foremost famous Kannadiga of Bangalore who other than cricketing legends gave name and fame to the city. We agree, there are many cricketing legends from Karnataka, but we have thrown light on only cricketers born in Bangalore such as Venkatesh Prasad and Anil Kumble. Anil Radhakrishna Kumble is first known as a humble being and then a master of spin in Karnataka. He was born on 1970 (17 October) and has served as the captain of the Indian cricket team. He had a unique ability to make the ball bounce with amazing speed and modifications, thus earning the nickname “Jumbo.” He acquired fame when selected as the Indian Cricket Cricketer of the year (1993) and Wisden Cricketer of the year (1996). His notable achievements include the performances of the team in the 1990s when took 6 for 12 in the matches with West Indies. In 1999, against Pakistan, he scalped all the wickets of the ten batsmen. Anil Kumble was honoured with Padma Shri in 2005 and announced the retirement from all forms of cricket in 2008. He has been inducted into the ICC Hall of Fame. He had a road named after his name in Kasargod. One of the famous sportsmen from Bangalore who attained name because of his cricketing exploits. His full name is Bapu Krishna Rao Venkatesh Prasad. He, in combination with the Mysore Express, Javagal Srinath, struck terror in the minds of the opposition batsmen with his pace. Making his debut in 1996, he played ODIs as well Test matches for India. His achievements include taking ten wickets against South Africa in Durban. He outwitted the Pakistani batsmen with 5 wickets for 0 runs in Chennai, 1999. His moment of fame came in the World Cup, 1996 against Pakistan. After an insult by Aamir Sohail, he showed the way to the pavilion after making Sohail lose his wicket. Does the name give you a surprise? Yes, we have planned to give information even on persons who, despite facing several odds, won medals for the nation. We are speaking about Sharath Gayakwad, the Paralympic swimmer. Born in Bangalore, he is known for outnumbering P T Usha’s record in Asian games. He won six medals in the 2014 Asian Games that includes bronze medal in 2010 Asian Para Games and a credit of being the first swimmer from India to participate in Paralympics (2012, London). He receives funds from the GoSports Foundation in Bangalore. Other notable achievements include winning a bronze medal at 2010 Asian Para Games, China. When able-bodied persons strive their entire life to make name and fame, here is this guy who with sheer grit and passion brought laurels to his home city. He definitely finds a mention in the list of 7 famous sports famous Kannadigas of Bengaluru. We have included two greats from men’s cricket in our list. Do we have someone in Bangalore to look in women’s cricket, that too on an international level in recent times? When asked about favorite cricket captains in the Indian men’s team, you can blurt out names, but what about the Indian women’s team? Yes, we are talking about Mamatha Maben. She was born in Bangalore on 15 November 1970. Mamatha Maben has played both ODIs and Test Matches for India and had acquired the unique feat of taking five wickets at age 33. She has had famous stints as Head Coach of Chinese and Bangladesh women sides. She captained the Indian side in the 2003 series against New Zealand. Another feat during her stay in the Indian team was when they won the 2004 Women’s Asia Cup Trophy. After reading this information, tomorrow when you hear someone speaking about Mithali Raj, be proud to say that even our Bangalorean had captained the Indian women cricket team. An Indian shooter from Bangalore, he was in league with the stalwarts such as Gagan Narang and Abhinav Bindra pre-half a decade. He rose to fame when his name was featured after Gagan Narang, Abhinav Bindra (Common Wealth Games Trials – 2010). It was in 2006, that he broke into the shooting world scene by winning every medal in the Junior State Championship competitions. His moment of fame came when he won the first place in International Shooting Competition at The Hague (Netherlands – 2016) when he beat Olympic Champions. He got the Ekalavya Award by Chief Minister of Karnataka. Born in Bangalore on 8 January 1992, he achieves fame as being the only swimmer from India to participate in the 2012 London Olympics. The decision of the Olympics Committee to gave him a berth was met with many surprises as he had not qualified with the required standard. He got the seat because of the “Universality Quota.” In the 2011 National Games, he won six medals for his State. It was in 2010 South Asian Games (Dhaka) he won the Gold. The list of sportspersons from Karnataka and Bangalore are definitely more, but we have included only seven on the list. 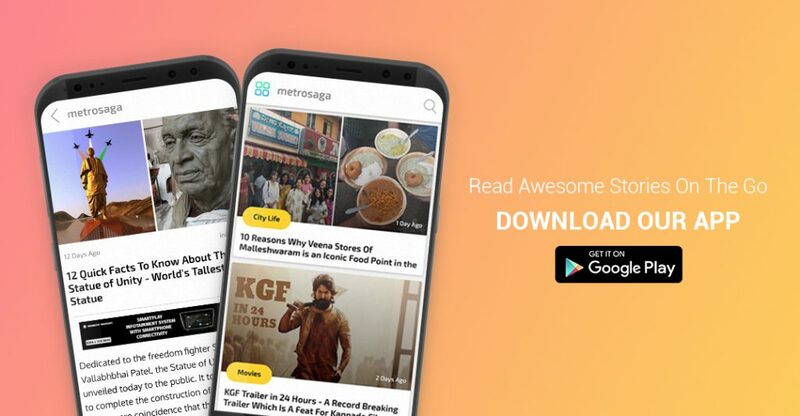 The reason is to give authentic information to Metrosaga’s loyal readers. Future articles will definitely throw more light not only on sports persons of Bangalore but also on various personalities belonging to music, cinema, dance, and arts.